SWET Kansai Event Report: Juliet Winters Carpenter—Reflections on the Translation of Ryōma! 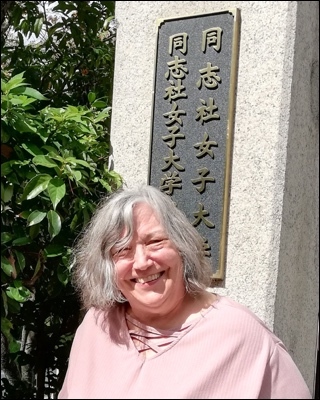 In October, 17 SWET members and interested others eagerly gathered at Doshisha Women’s College of Liberal Arts in Kyoto to hear illustrious translator Juliet Winters Carpenter talk about her latest work, a joint translation project with two other translators of Ryōma! 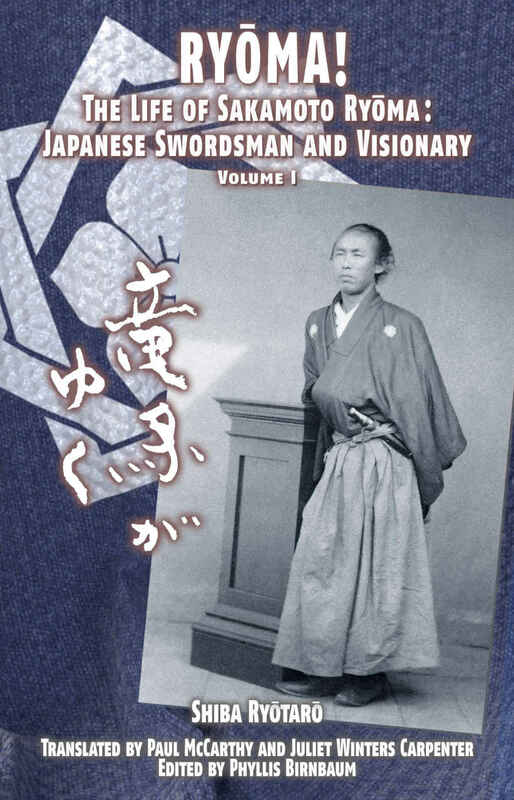 The Life of Sakamoto Ryōma: Japanese Swordsman and Visionary by historical novelist Shiba Ryōtarō. The Japanese title is Ryōma ga yuku. Originally published as a newspaper serial 1963-66, it is a well-loved novel that has sold upwards of 21 million copies—and made Ryōma a household name in Japan. Readers familiar with Shiba’s original work know that its sheer volume, published in eight bunko-bon volumes, makes this no small project, and Carpenter began by describing the team that agreed to tackle it. Veteran translators Paul McCarthy (vols. 1, 4 and 7) and Margaret Mitsutani (vols. 3 and 5) joined Carpenter (vols. 2, 6 and 8) to work with editor Phyllis Birnbaum on the four-volume English version, only the first of which is available as of this writing. Team translations can be difficult to coordinate, but Carpenter credits Birnbaum with the skill to keep the project on a steady course. She has created a detailed style sheet and coordinates the style issues as they arise. The person responsible for putting the whole project in motion is Takahashi Akira, a trade house employee and ardent fan of Shiba’s work. He decided to launch the project as a labor of love, even before a publisher was decided, negotiating the rights to publish the work in English and commissioning the translators, editor and checkers. The first translation task Carpenter mentions is the title: Ryōma ga yuku. “Where is he going? Are we going with him?” she wonders. It has been and could have been translated many different ways: Ryōma is Going, Ryōma Moves Ahead, Ryōma Coming to Us, or Ryōma on the Move (as suggested by Henry D. Smith II in the insightful introduction to the translation). In the end, the simplicity of Ryōma! with the addition of an explanatory subtitle seemed the best option. The use of macrons when rendering Japanese words and names into romanized versions was also an issue. Macrons are used throughout, but Carpenter contends that they can be “pedantic” and “off-putting”—especially to readers who may not know Japanese. She also noted that the book has a bewildering number of names, and macrons can add an additional burden for readers unfamiliar with Japanese. Besides taking a survey of the room on this issue, she told us that the issue of macrons will be reviewed again with the input of the three translators for upcoming editions. In producing the translation of the saga, the great number of place names and character names has provided a significant challenge. People in that time often had childhood names, aliases and new names after the Meiji Restoration, adding layers of complexity. Lists of proper nouns are documented and updated as needed, and are an integral shared resource for all team members. Minor names are eliminated when possible, to decrease potential confusion. A handy list of principal characters and chronology of events is provided at the beginning of the book to keep all of the clans and clan members, rivals and allies in order! The proprietress of the inn went on and on in her thick Ise dialect. “Where were you off to, sir?” . . . The Kyoto samurai suggested stopping there. Carpenter described one delightfully humorous passage in volume 3, part 6 involving the word umakuchi, used by a Nagasaki woman when she was asking Ryōma to kiss her. Not being a Nagasaki native, it took him quite some time to realize what pleasures awaited him. What about the translator’s relationship with the characters she translates? Carpenter talked about the importance of digging deep, “becoming” the character in order to create authentic dialogue. At the same time, such bonds make translating a character’s demise a sad prospect—as Carpenter mentioned concerning her translation of Chōjirō’s seppuku scene at the end of part 6. As Tōyō collapsed, Nasu, standing in front of him, made his move. “Yoshida Tōyō, for the nation’s sake, now die!” With a bold, swift motion he executed a right diagonal slash from neck to waist. …he ended with his severed head wrapped in the still-warm loincloth of an impecunious gōshi. Here, the addition of “still-warm” gives the reader a visceral understanding of what it meant for the high-ranking Tōyō to end up with his head wrapped in a loincloth taken freshly from an underling’s body. The change in format from the original serialized novel in Japanese to novel in English required the re-working of the inevitable plot re-caps and character re-introductions that occur from one installment to the next. Carpenter notes that the Japanese audience seems quite tolerant of the intact repeats appearing in the serialized version, but these sections needed to be eliminated or re-worked to create a smooth read in English. Most of us who have had the pleasure of hearing Carpenter speak over the years are struck by her generosity in sharing her experience; this lecture was no exception. The room was filled with veteran and newbie translators alike, all of us grateful to absorb some wisdom from someone with over 70 published titles to her name. From heavy historical novels like Ryoma! to the contemporary tanka in Salad Anniversary, from Abe Kobo to Zen retrospectives, Carpenter’s work is as diverse as it is prolific. She rarely turns down a project, saying it’s important for her not to be typecast and declaring that the challenge of tackling new material always intrigues and excites her. Despite her success, Carpenter remains unpretentious and reflective about her work—even taking notes about possible inconsistencies or changes which might be needed in this translation as we discussed it. At the very end of the day she said softly, almost as an afterthought: “I’m not perfect, but I do what I can.” We should all be so humble about our work. Juliet Winters Carpenter plans to retire from her professorship (not from translation) at the end of this academic year and move to Whidbey Island in Washington. She will deliver her final public lecture at Doshisha Women’s College of Liberal Arts in Kyoto on February 6, 2019.